Don’t Miss Adam Lambert on his Holiday Roll Around the USA! Tickets Here!! You are here: Home / More Featured Posts / Don’t Miss Adam Lambert on his Holiday Roll Around the USA! Tickets Here!! 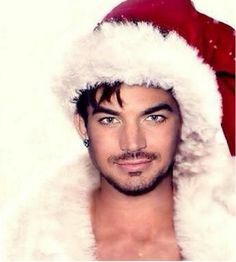 Adam Lambert will be playing several shows around the USA this holiday season. Have you bought your tickets yet? You don’t want to miss some GlamCheer – the perfect way to start your year off! If you haven’t gotten your tickets yet, we’ve got a few for sale, and encourage readers to post any they may have, in the security knowing you’re not paying ridiculous scalper fees. I’d like to think that Glamberts have a universal good spirit and will only list extra tickets they may have bought for friends who couldn’t make it, for cost. Respond here to this post if you’d like to list some tickets, maybe helping out a fellow fan. Include the City, Venue, Date, # of tickets, actual full seat location and cost. List your preferred contact method: email, text number or check back here for responses. This site doesn’t take any responsibility for any of the transaction. It is up to you to arrange payment and delivery. I use PayPal and electronic ticket transfer, if possible. San Diego, Civic Theater 94.1 Star Night (with Adam Lambert, Andy Grammer, Elle King & Echosmith); December 4, 2015; 1 ticket Orchestra/Row G (10th row) Seat 39; $106. 2 tickets – side by side – Orchestra/Row T, Seats 18 & 20; $137 for the pair. Las Vegas, The Joint at Hard Rock, Adam Lambert and Rob Thomas; December 5, 2015; 2 tickets – Section 102, Row J, Seats 29 & 30; $177 for the pair. Contact me at: cmhagey@aol.com. Put TICKETS in the subject line please. Just wanted to wish you happy holidays. Adam has gone through a transformation, hasn’t he? The smoke and mirrors are disappearing and I like it. Great idea. I can’t wait to see him. It’s coming up fast! I wish I could go soo much. Wishing everyone a Happy Thanksgiving. Thanks Carol and Lila for all you do for us. I wish I could but they are too far away and the holidays are too busy for me. I am hoping for some OH Tour possibilities near me in Wisconsin. Can’t wait to hear about it all. I’LL BE SEEING MR. HANDSOME IN DECEMBER IN PHOENIX AND CAN’T WAIT !!! I will be 65 on March 17th and really need to contact Adam about a Birthday song for me. I absolutely love this talented young man and for this very special Birthday would love to have him sing for me. Had terrible losses of my family in 2011 2102 and 2013 and his singing has bought me so much happiness and joy over the years . Please visit Maryland Or Delaware in the future and contact me. The world needs more genuine people like you Adam. So very proud of you! Hi all you out there. Saw our Ad last week in Boca Raton, FL. Actually, was LUCKY to be resting on the fence 3 feet AWAY from HIM. Want to thank Carol and Lila for all that you do to us in touch. A very happy and wonderful new year to you both.